After 6 years since their last miniature release and 3 years of being MIA in AoS, Slaanesh’s time might finally be here. What could GW have planned for the Return of the Dark Prince? 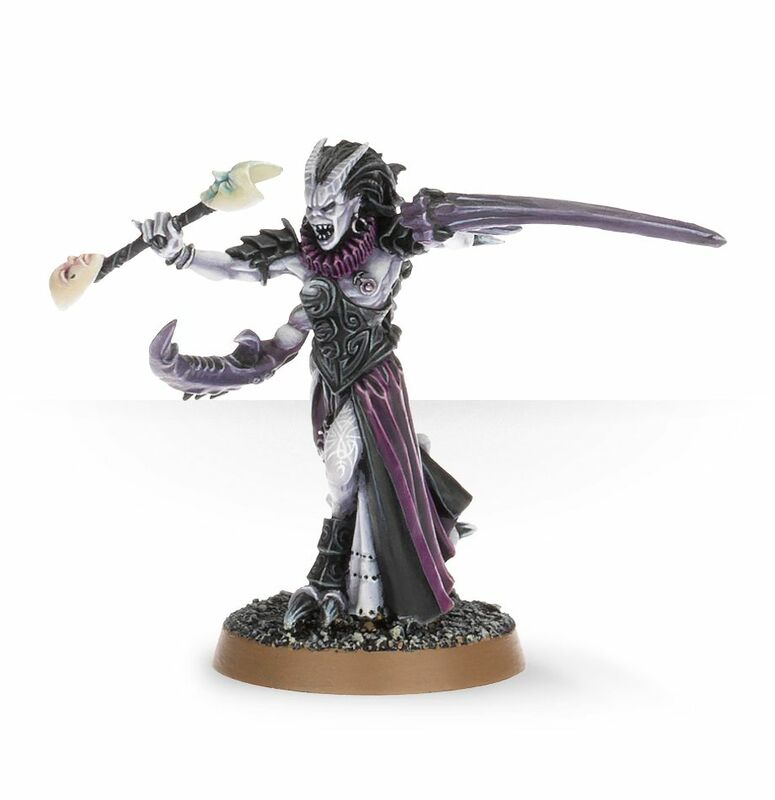 The last time we saw a new Slaanesh model, the year was 2012. That means it’s literally been six years since we’ve gotten ANYTHING from GW for the lords of excess. Six just also happens to be Slaanesh’s Magic Number…coincidence? But with the teaser from Games Workshop for Realm of Chaos: Wrath and Rapture, it sure seems like it’s time for a prison break and an old rivalry to be reborn. Khorne already has a full miniature range and while he’s all about the Skulls, it only when his forces are facing off against an equal opponent that they can truly be tested. So isn’t it about time Slaanesh got on an even playing field, too? Just wait…I’m getting hungrier by the minute. 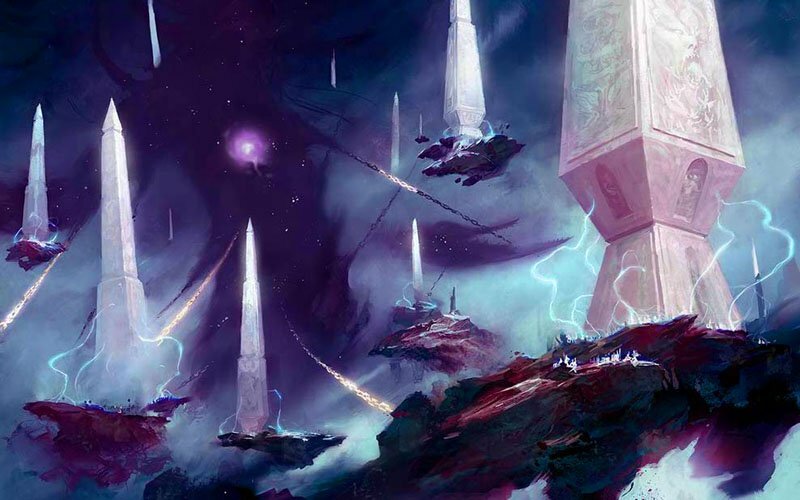 I’ve already said that I think Wrath and Rapture could be a throw-back to the 30 year old Realm of Chaos: Slaves to Darkness book, but what else could we see from Slaanesh? Well let’s just take a quick look at the model range to see what we think should be updated and replaced. 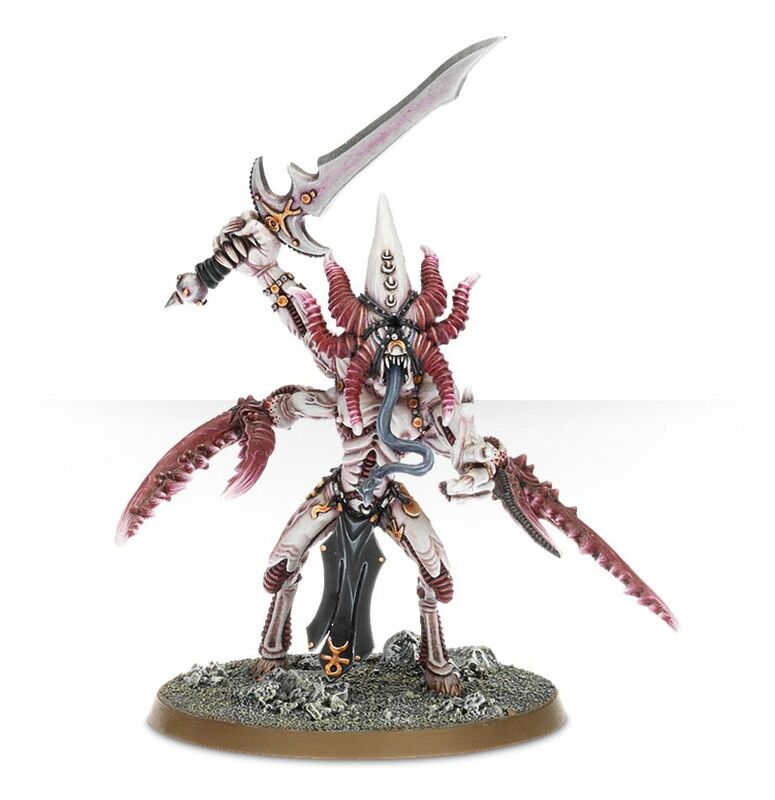 Sure, it’s not exactly the most impressive posture for the Greater Daemon, but at least it’s THERE. 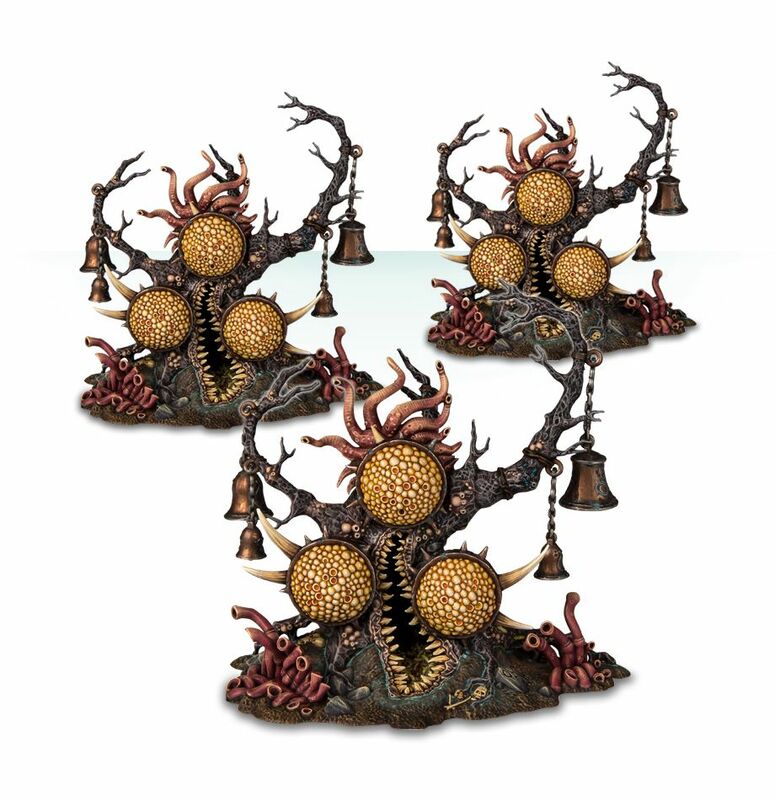 Hey if the Beast of Nurgles can a redo, why the heck can’t the Fiends of Slaanesh? Emperor knows they sure could use one. I wouldn’t be shocked if they DID get a new box set alongside whatever release GW has planned. The Masque has actually been bouncing around in the lore for a few codexes recently. But as a model she’s still in Finecast and could definately need a new fancy plastic version. Nurgle Maggotkin got a TON of new characters and The Changeling got the plastic treatment for Tzeentch. It’s time for the Masque to get a touch-up. 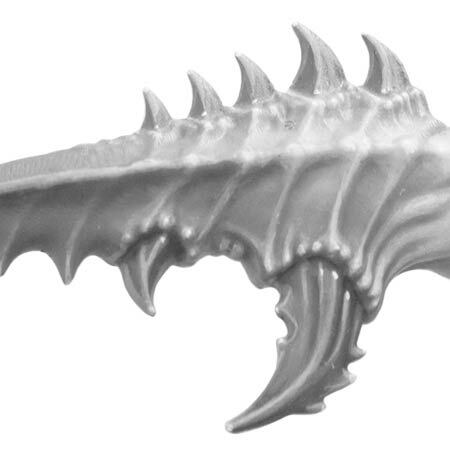 Look at all the Nurgle Poxbringer – it’s basically a Herald but in plastic. Why wouldn’t GW make one for Slaanesh too? Besides, if you really want to run a full Slaanesh Army you kind of need a bunch of Heralds to keep your troops operating at peak performance. If the Spines don’t fit, you must acquit! Like this, but maybe with tentacles…okay, that sounds terrifying. Games Workshop has lots of room to work with and it’s going to be very interesting to see where they take it from here. 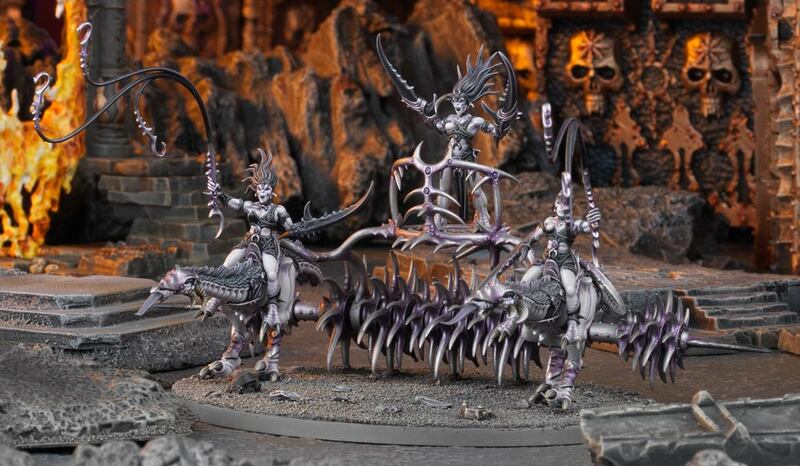 The ground work is there and the fans have been wanting it for years…Will Slaanesh get to come out and play or will it be another 6 years of silence? 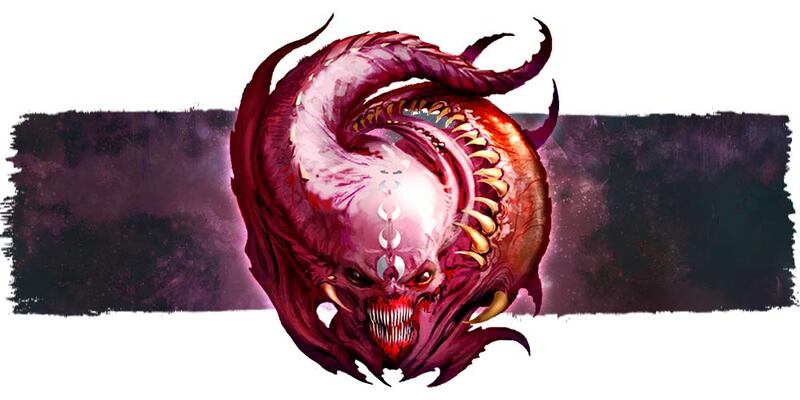 What new kits would you like to see for the Daemons of Slaanesh? What cross-over units do you think Games Workshop could make for 40k?